I lived near a very small (I mean, very small!) patch of woods for part of my elementary school and middle school years. I remember the joy of going “into the woods” and finding natural enclaves under bushes that I could make into “my fort.” A few minor adjustments and additions turned those branches into a naturally camouflaged hideout. I also remember “building forts” out of blankets, tables, and cushions in the house. As a father, I even joined my daughters in making forts during their elementary school years. In fact, fort building is a pretty universal activity among children. Fort building encourages independence. Children gain independence as they gather materials and build their forts however they like. They establish themselves as separate individuals by creating their own space in a unique design of their choice. Fort building also develops practical skills. Children meet their “inner engineer’ and “construction worker” when building a fort. They learn what creates a sturdy fort, what protects against the wind, what holds materials together, what materials work best for various designs…. The list of practical skills our children learn while building forts goes on. Fort building enhances cognitive skills like problem-solving, planning, and organization (which may come in handy when writing their high school papers). Fort building also builds social skills like cooperation, negotiation, and teamwork. Fort building provides unstructured play time filled with creativity and imagination. Unstructured play encourages self-discovery, self-control, and maturity (Read Make Your Child a Head Taller Than Himself for more on this). Fort building establishes “my place,” a fortress against all the stresses and demands of the outside world. In this sense, fort building can relieve stress and build skills to manage emotions. Don’t forget. Fort building is also just plain fun! We all love to see our kids having fun. 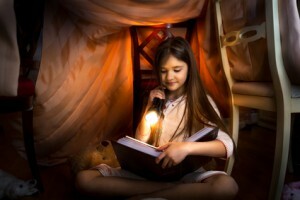 So, on a rainy day, encourage your children to build a fort in the basement, attic or family room. On a nice day, encourage your children to go outside, explore, and build a primo-fort in a secluded spot. Supply some materials and encourage the adventure. Then sit back and enjoy watching them develop skills while growing more mature!